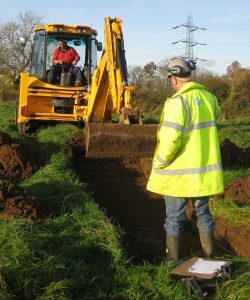 The Career Development Programme supports our staff through each stage of their archaeological career, focussing on developing the relevant skills for their particular stage. At every stage of the programme employees are provided with a log outlining the requirements of each job role so that our employees have clear and defined targets to work towards, and a clear structured path to achieve them. The log acts as a reference point for our employees and their line manager to be discussed during regular reviews and appraisals. In addition to the log, employees will be enrolled for appropriate Health and Safety and classroom training ensuring they are fully equipped to undertake the role and continue to develop.